More tourists are expected to visit Grenada on cruise ships than originally projected for the next winter season. That’s the forecast of the Florida Caribbean Cruise Association (FCCA), which is projecting a 15% increase in arrivals for the season starting in September. The FCCA’s prediction surpasses a 10% projection by tourism officials in Grenada. Speaking at Tuesday’s Post Cabinet briefing, Minister for Tourism and Civil Aviation, Hon. Yolande Bain-Horsford, said that things are looking good for Grenada’s cruise industry. 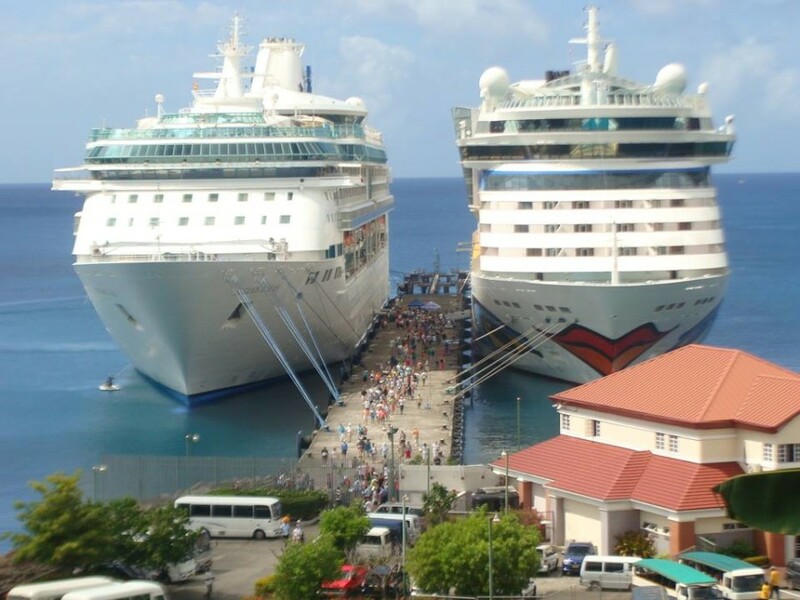 “It seems like we are going to have a 15% growth of cruise lines coming to Grenada. We are on top of things and things are rolling very smoothly” said the Tourism Minister who recently met with the FCCA’s President at the CSM Seatrade Conference and Trade Show in Miami. While at the trade show, Minister Horsford and her Grenada delegation focused on promoting the purity and authenticity of Grenada, and held talks with the likes of Royal Caribbean, Carnival and a number of other major cruise corporations in an effort to boost the country’s cruise tourism market. “We had a very good discourse with the cruise executives as we displayed Grenada’s tourism products,” the Minister said. “We engaged some of the ships that never came to Grenada before and they are looking seriously at coming to Grenada,” she said. The Tourism Minister said the FCCA’s President, Michele Paige, spoke very highly of Grenada, in particular, the beauty of the island. “Prospects are very bright for Grenada in moving forward with the cruise industry,” Minister Horsford said.